Mas Kagin Tapani: How many protected areas do we have in PNG? How many protected areas do we have in PNG? Sumkar District, Madang, PNG's proposed and established CAs. We need some information to help us prepare our lessons for a CBD workshop in December. Please answer the following questions or connect us to someone who can help. f) Marine Sanctuaries do we have in PNG? 2) How much hectares or % of land, sea and water coverage do these protected areas cover and where are they located? When were they established and by whom? What are their current status like? 3) What is the over-all national target for us to reach in establishing protected areas in PNG, and when do we want to achieve that? 4) Who are the key players involved in delivering this service as NGOs, National Government, Provincial Governments, CBOs, or Companies and can we know what they are doing? 5) How often and where and when do these stakeholders meet to share their work? 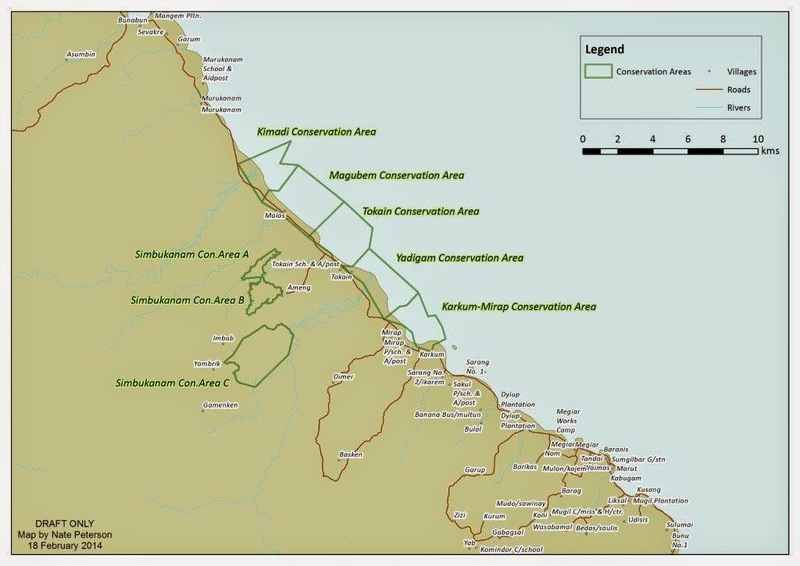 6) Where can we obtain a Data with list of "other effective area-based conservation measures"? iv) Mid Term Development Plan 2011-2015. 8) Since this workshop will be in Madang, we also would like to have access to the Kalibobo Vison. Your feedback will help us prepare our lessons for a workshop in Madang. The workshop will be co-facilitated by Mrs. Adolphina Luvongit and me. We both hold certificates in Regional Capacity-building Workshop for the Pacific region on Traditional and Customary Sustainable Used under the CBD after attending this workshop from the 26 to 28 August 2014, in Apia, Samoa. Our target group of 13 participants will all be indigenous and local community resource managers in Madang and one participant from West New Britain. We would like to extend the invitation to others but we do not have the funds to meet the expenses. If funding permits, we will invite one technical expert on the Locally Managed Marine Areas network person to come in and do a presentation to the participants. We have Annisah Sapul in mind but again it all depends on the availability of funds. D) Site seeing to established CD, LMMA, OECM and arts/cultural and sacred sites. iv) OECM identified; recommend and / or suggested as appropriate conservation tools to achieve CBD’s Strategic Plan for Biodiversity 2011-2020. Your attention and support will be highly appreciated.